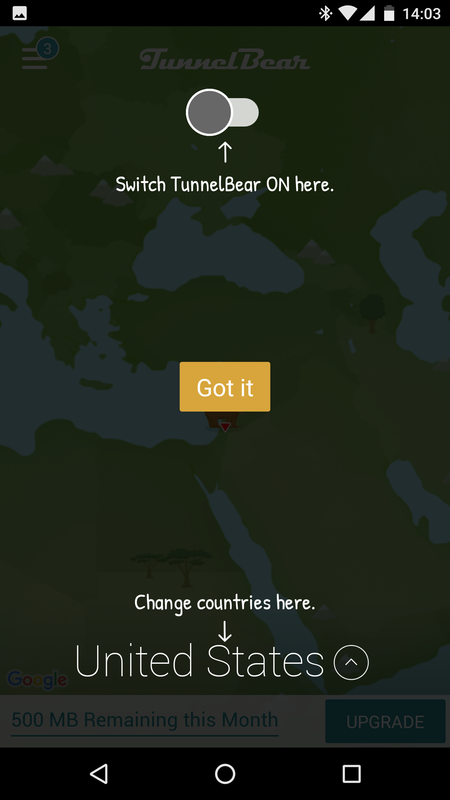 What is your opinion on TunnelBear VPN? Installing and using TunnelBear is a piece of cake. The installation process may differ from one platform to another, but the level of simplicity is the same. Once you download and install the application, all you need to do is agree to their terms and conditions and select a destination folder. At that point the application itself requires no further configurations. Just select the server location to which you want to connect and you’re done. You can also enable/disable additional features, like GhostBear and VigilantBear from the settings menu. Just click on the settings icon from the panel on the left and you can swiftly navigate through all the setting options. TunnelBear offers three packages: a free package, a monthly package, and a yearly package. The free package gives you all the same features included in the paid subscriptions; however, TunnelBear has severe data restrictions. They give you 500 MB per month, but you can tweet the company for an extra 1 GB. All packages allow five simultaneous connections and unlimited switching between servers in 20 countries around the world. Tunnelbear only has one efficient form of support – a ticketing system. While it can take up to 24 hours, our question was answered within six. TunnelBear also has extensive guides on their site, which can sometimes be enough. However, the fact that they do not have 24/7 live chat support is a little unfortunate. 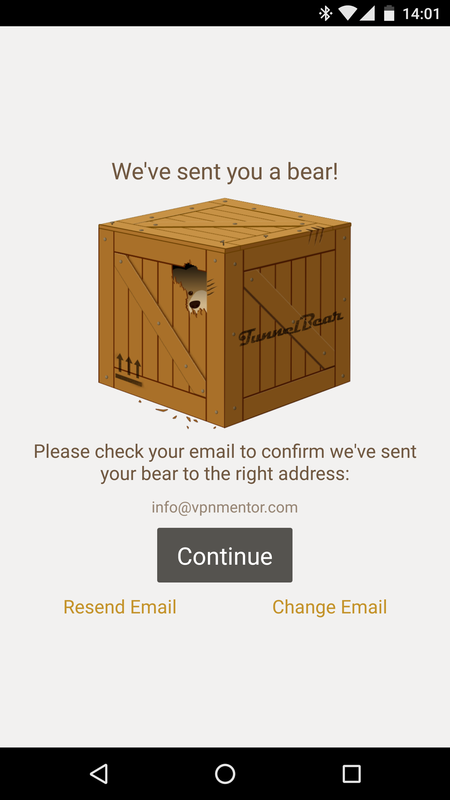 If you’re a beginner or not ready to pay for a monthly or yearly commitment just yet, TunnelBear is a good option, as it is very easy to use and offers a free package. Other than the few glitches we faced with the application (see below), the quality of the service is decent. TunnelBear is a Canada-based VPN provider that was founded in 2011. For a free service, they offer a lot, but the paid service isn’t something to go wild over. What users will find entertaining, though, is the bear theme throughout the entire site. TunnelBear has applications for almost all platforms, including Windows, Mac, Android, and iOS. In addition, they also offer their users Chrome and Opera extensions. We tried out both the Windows application and the Chrome extension. Once you sign up and download the application or add the extension, you can connect to up to five devices simultaneously. Unfortunately, we faced a few glitches with the Windows app. For starters, it took more than one attempt to connect to a server. The second issue: The application froze once and required a full Windows restart to be able to get back online. When we tried contacting customer support about the issue, there was only one channel available – the support ticket system. TunnelBear operates 4000+ servers from its 22 server locations around the world. This number of locations is considered a small number compared to some of its competitors, such as ExpressVPN and NordVPN. However, when we tested the performance of this network, we were intrigued that such a small network had almost unnoticeable lags. There is no live chat support, and even though Tunnel Bear is on social media, you can only follow them and not make contact or ask queries. Once you submit a ticker, you're informed that it can take up to 24 hours for the reply to come through. In our case, it took only six hours, and the response was very helpful. The TunnelBear network is secured with an AES 256-bit encryption, which is one of the highest levels of encryption available among VPNs today. While the security protocols supported are limited to OpenVPN, IKEv2, and IPSec, these are actually considered the most reliable. There are two additional security features: VigilantBear and GhostBear. VigilantBear is a built-in kill switch and GhostBear is a Double VPN that adds an extra layer of security to all the data traffic, making the already encrypted data even less detectable by ISPs. We were also impressed with the fact that for the past two years, TunnelBear hired the well-respected cybersecurity firm Cure53 to perform an independent security audit of their VPN. The overall results of the audit were positive. Although several vulnerabilities were found during the audit, including 2 “critical”, 5 “high”, 3 “medium”, 7 “low”, and a few “informational” issues, Cure53 has confirmed that all of the issues were promptly fixed. Independent audits like these help VPNs to create a stronger and more secure product, and are also a great move toward building trust and transparency. This makes it a safe and trust-worthy provider that is sworn to transparency! One of the great things about TunnelBear is that you’re able to unlock most of the popular streaming websites such as Netflix and Hulu most of the time. However, it’s not a guarantee, and – while TunnelBear is happy to assist you to connect – you might not succeed. TunnelBear is also unable to unblock UK services such as BBC iPlayer. Another drawback is that Tunnelbear can’t be used with P2P services like torrents. However, Tunnelbear does work in China, as long as you download and install it before arriving. The cost of acquiring a TunnelBear subscription is considered average compared to its competitors, though you can get more features with some other providers at a similar price. TunnelBear doesn’t have a refund policy or a money back guarantee period. However, this shouldn’t be an issue since they already offer a monthly free VPN package. 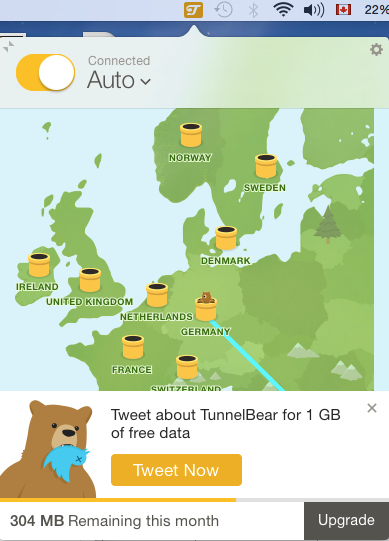 If you don't love Tunnelbear, there are other free VPNs out there.